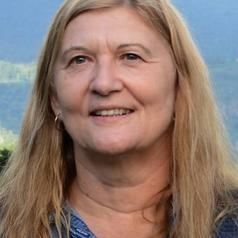 Judith Masters (BSc Hons, PhD) is a native of the Eastern Cape, South Africa, where she is employed as Professor of Zoology at the University of Fort Hare, Alice. She studied Biological Sciences at Natal University in Durban, before moving to the University of the Witwatersrand to pursue post-graduate studies. It was there that she experienced two life-determining events: she joined the evolutionary genetics group under Professor Hugh Paterson and began to study species and speciation processes; and she encountered bushbabies (galagos) for the first time. She undertook a post-doctoral fellowship at Harvard University under Professors Richard Lewontin and Stephen Jay Gould; short-term research contracts at the Universities of Florence and Turin, Italy, and Strasbourg, France; and a visiting Assistant Professorship at the University of Stony Brook, New York. Her current theoretical research interests include phylogenetic philosophy and practice, species concepts and speciation models, the role of natural selection in lineage divergence, and biogeographic processes. Her focal animals are the tooth-combed (strepsirhine) primates: lemurs, lorises and galagos. She has been rated B2 by the National Research Foundation and is a founder member of the Africa Earth Observatory Network (AEON).